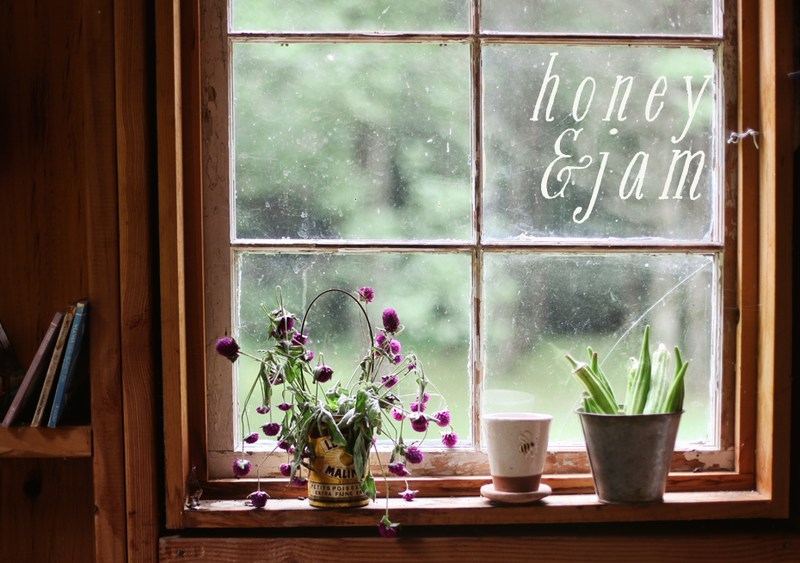 honey & jam | recipes + photos: Hello, September. 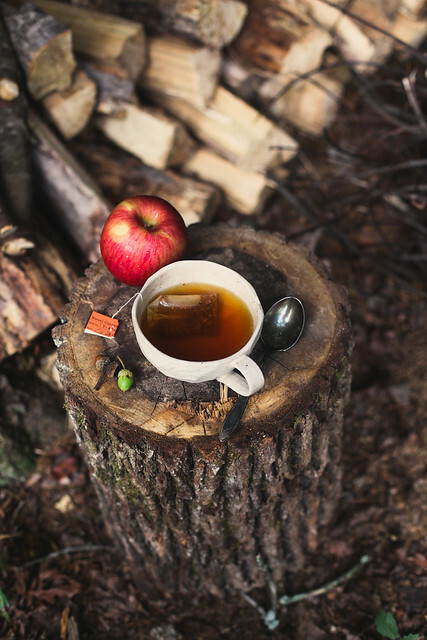 Here's to changing leaves, warm cups of tea, golden autumn sunlight, fresh apples, bonfires & toasted marshmallows. Ah yes, autumn! How I can barely wait to greet her! Such beautiful photos! On a walk to the store this morning, it felt like fall. It was an immediate transition. Swoon! The most beautiful season.. Very inspiring. Your photos are beautiful! I loooove September! Beautiful pictures you posted! oh autumn, my favorite season. your pictures capturate its essence so well! Gorgeous clicks! Moody and wonderfully aurumn-like. This is my favorite month... besides it being my birthday in a few weeks, I just adore how the temperature and general air changes from the beginning to the end. Happy September! Your gorgeous photos capture my mood exactly! I want to live in these photos! So beautiful! My favorite month. :) Your photos are lovely as always! Well! I love these photos so much that I wish I had taken them! I love the color, tones, & setting. Excellent job capturing the essence of autumn (and it's not even officially here yet!). September is the best month ever. Great photos! beautifully expressed... warm autumn hugs to you! I wish we could feel a stray autumn breeze down here. A little ways to go! But, I will relish looking at your fall photos. 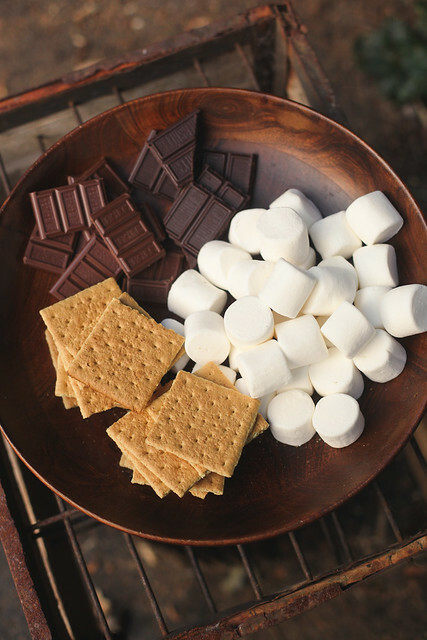 beautiful, hard to feel autumn-y when it's 85 degrees here in NYC but those s'mores look delicious! so beautiful hannah! i absolutely cannot wait for sweater and "hot drinks outdoors" weather. have a great long weekend! Love the fall and you captured it perfectly. Looking forward to my own visit to the GA mountains soon. Great photos! I would make a cup of tea, except it is boiling hot here. Your pictures at least made me feel cooler. Seriously gorgeous, you have really captured Autumn and it has only just begun. Now I am really looking forward to cozy autumn days, beautiful photos! totally agree..your photos make me swoony too. a sigh. wow. you've ushered september in beautifully! Ohhhh... I can't believe summer will soon be over :( I love your pictures though!!! I've been wondering how you're feeling. Good girl, they are great shots. i love your september photos. i am longing for fall. your september is looking perfect. sadly, i'll have to wait until late october for this, but i am anxious, waiting with open arms. 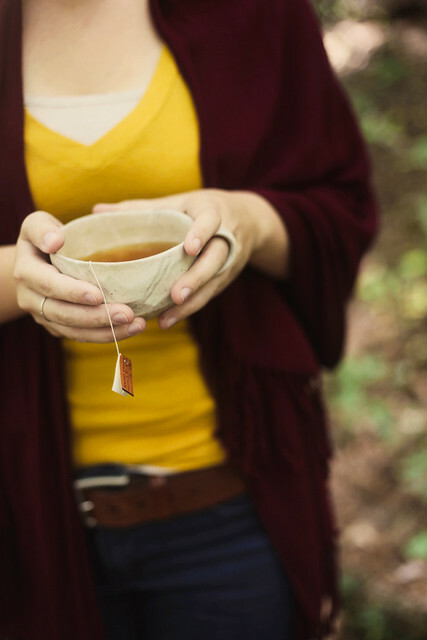 This set really made me happy---the warm colors, the tea. 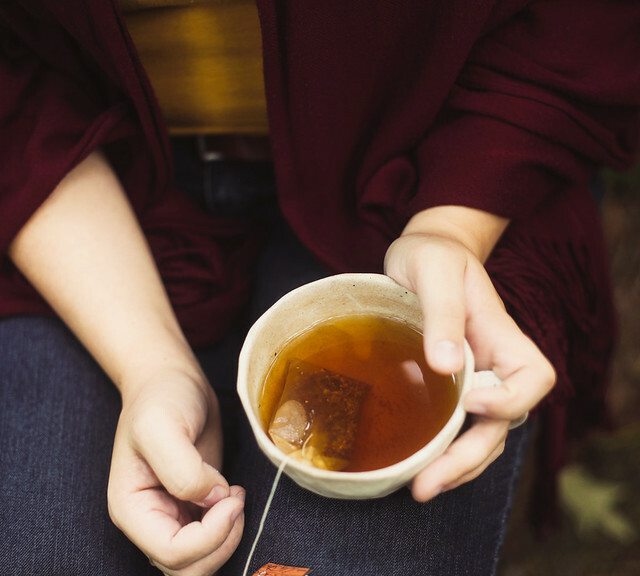 Tea will be back on my list of drinks this fall. I love the fall- the colours, the smells. I very much enjoyed your photos in this post! You truly captured autumn, so beautiful. 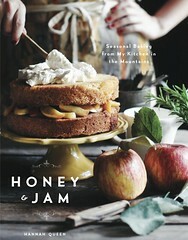 I'm going to make you pumpkin bread again this season:) and I want to print and hang your smores phonto in my kitchen. Happy September! Beautiful! I'm definitely looking forward to mornings cool enough for hot bowls of oatmeal and steaming tea. 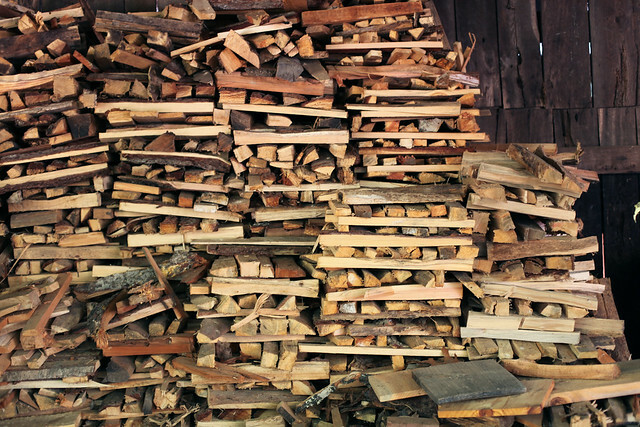 :) And I just wish we lived somewhere where a woodpile like that was necessary! Very few artists are able to capture the essence of all the senses in one medium. Oh there are those who grasp at two, perhaps even three, yet somehow you are able to capture the entirety of it in a simple photograph. It is the aroma of woodsmoke hovering low in the crisp early morning air, the acrid perfume of split and stacked oak near the woodshed. 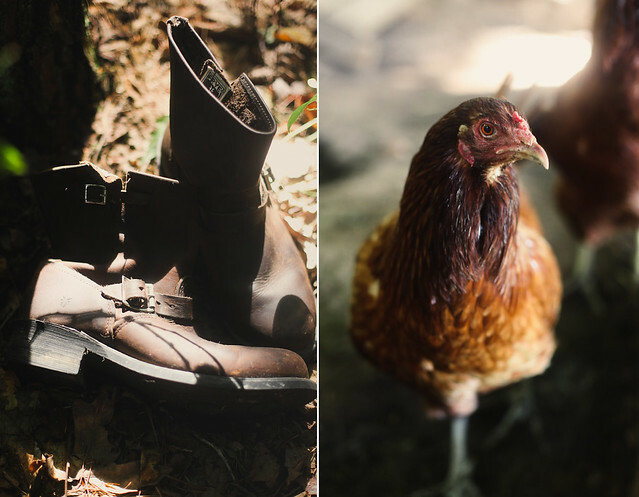 It is the feel of a favorite dilapidated flannel shirt, and the sounds of acorns falling on the old tin roof shed as old leather boots swish through freshly fallen leaves. It is the taste of warm earthiness within a teacup. All of this wrapped up in a beautiful captured moment of time. But where you shine, Hannah, is within these photos lies the human spirit of us all. Well done indeed. I love these photos. They make me want to make a cup of tea and sit by a fire. Unfortunately, Virginia Septembers are very similar to August weather. Hot, humid, miserable. But the rain we get clears it up a bit. I've noticed myself needing a sweatshirt more often, which excites me for fall, my favorite season. I can't wait for pumpkin flavored everything, bonfires, boots, snuggling under warm blankets. All that jazz. It's the best. So dreamy! Here in Southern California September means more heat waves... I am DREAMING about FALL! Dreaming for a relief from this dry hot hot heat. I'll just live vicariously through your photos. 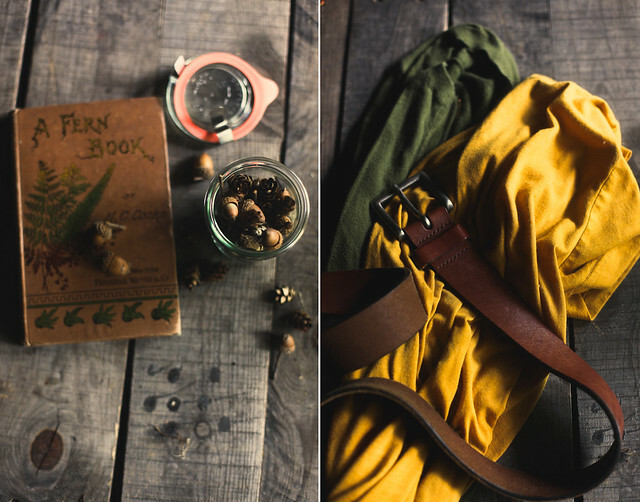 These photos have me crazy excited for fall! Very lovely, though I feel like I say that all the time. Your photographs are wonderful, dear. I think this is one of my favorite posts from you Hannah. Fall is my favorite time of year and you have made my anticipation for it that much greater. So gorgeous! I wish it felt more like fall here but I am loving seeing everyone else's posts! I wanted to thank you for this special read.I have also bookmarked you for checking out new posts. I wish to know more about this because it actually catches my attention. Keep on posting valuable information about this dude! Thank you so much for sharing. I LOVE FALL!!! And your shoes! And the pictures you took! And your apple pie! People should really start appreciating the simpler things in life. Thank you. Hi there, You’ve done a fantastic job. I’ll definitely digg it and personally suggest to my friends. I am sure they will be benefited from this web site…. Your blog was very awesome and I have also bookmarked your bog thanks a lot for a giving a useful information. This blog is provide lots of good idea and your blog are very usefull for me. It is a very incredible post. Your post is very informative for me. Thanks a lot. Thanks to lots for sharing good information to me. Your post was very cool. Thank you so much…..
First, the Food and drug administration lacks appropriate legal grounds to condition jurisdiction over electric cigarettes as suggested with this particular letter. Since the Food and drug administration might reason if ecigarette companies make direct drug claims regarding items, these products might be controlled under FDCA, I do not think there's the best reason behind Food and drug administration controlling electronic cigarette under FDCA without marketing claims which establish the primary intended utilization of the strategy is to assist individuals that smoke in achieving quitting smoking (as well as for your reason, the primary reason for your merchandise should be to treat an ailment: smoking dependence). Right today, after carrying it with regard to five to ten instances, you will feel several building up withwith your chin dropping muscle groups and you may visit a dent in the upper side of during the mouth area. By means of this particular physical workout, the actual weak muscle are usually progressively becoming developed, leaving behind you while using the perception of your ding or even dimple or perhaps dimple inside your breathing passages. Many people might in no way feel that a straightforward exercising will certainly free all of these within the scourge and slavery regarding how to stop snoring. The simple truth is, you shouldn't actually need to question. This workout is really guaranteed as the tale visits the principal problem-the obstruct inside the air passage. Basically, the obstruct within the airway brings about the particular weather to discover trouble to penetrate for your bronchi. Now, as the air can get into while using the slim tissue, it creates any forward and also backward flap, consequently, developing a appear this is the noisy loud night breathing. You simply try to look at the hole the actual airfoil inside the blowing wind flow, this program is actually likewise. Determine cultural context. What is the most culturally appropriate treatment intervention or setting? For example, a Spanish-speaking client would obviously not benefit from an English-speaking support group. Furthermore, cultural issues may affect how the client perceives his or her illness, as well as how he will approach treatment. Thanks. Superb submit I like ones write-up adore the way you outlined things, you are doing an excellent career most of other folks just like you by way of that will type of informative information sites offer recognition for you to people related to many points. I understand other sorts of intriguing information sites through your sites and also We are a whole lot curious with your running a blog ability, My spouse and i in addition did start to compose weblogs and this also type websites definitely aid myself out there. My spouse and i currently book marked your web site and discussed the sites to be able to my personal acquaintances not merely me personally however all of them such as your own running a blog skills, expect a person compose much more useful information sites like this one as well as good luck for your future sites. seorang istri lebih menginginkan ketika hubungan suami istri sama pasangannya bisa lebih puas dengan ereksi yang lebih keras, kencang dan juga tahan lama, seorang dokter lebih menganjurkan anda untuk meminum obat kuat herbal alami yang ampuh mengatasi lemah syahwat dan ejakulasi dini serta bisa menyembuhkan secara total.